We offer a spectrum of Data Loggers which are appreciated by our esteemed clients for their compact design and easy maintenance. Made from premium grade raw material, these are used for on Line as well as off line data acquisition. The data loggers available with us can receive inputs from Thermocouples, RTDs as well as current and voltage. Our esteemed clients can also place bulk orders which are delivered to them in tamper-free packaging so as to prevent any kind of damage during transmit. 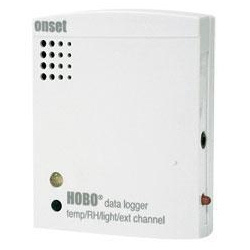 We are one of the trusted firms offering HOBO UX100 Data Loggers to our clients. The offers tracking temperature and relative humidity in indoor environments. It is being constantly appreciated for the features like higher accuracy, accurate measurement capacity, and more LCD display features to make data collection faster and easier than earlier. Also it has all the advanced features that are user friendly and attracts our clients. We offer Button Loggers that is popular a amongst our clients for its enhanced features. Not only this but is water resistant, carry great strength and power and is cost-effective. It records large number of measurements for temperature and humidity. Long battery life is enabled as well that ensures high performance till long time. Our quality experts carry out a quality check on various parameters to ensure the quality of the product. The WatchDog B-Series Button Loggers are water resistant, powerful, and exceptionally affordable.The 3619WD 2K Temperature Logger will log 2,000 measurements, while the 3620WD 8K Temperature Logger has four times the capacity, or 8,000 measurements. The 3621WD Temp/RH Logger will record 8,000 measurements - 4,000 each for temperature and humidity. They log temperatures ranging from 14° to 185°F (-10° to 85°C) with accuracy of ±2°F (±1.1°C) and features a battery life of up to 10 years, depending on measurement interval. Water resistant case protects internal sensor and circuitry. Record soil temperature or track shipments of perishable commodities. Note: these loggers are Water Resistant, not Water Proof. While they can be exposed to rainfall or water spray, they cannot be in constant contact with water for extended periods. If they are buried to measure soil temperature, they must be placed in a waterproof container or packet. Use with SpecWare Software and snap-in docking station to download data for analysis and reporting. Actual size is 2" x 2". 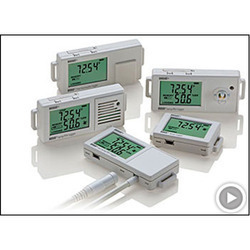 Enabled with long battery life, we offer Temp/ RH/ Light/ External Data Loggers to our clients. It measures accurate temperature and humidity and thus believed to be very reliable amongst our clients. This product is manufactured at our well-equipped infrastructure unit by our skilled professionals using the optimum quality raw material and the modern techniques with set industrial standards. Onset HOBO Four Channel USB Temperature/Humidity/Light/External Input Data Logger with 12-bit resolution Temperature, Humidity, Light with 1 External Analog Input for Current or DC Voltage Measurement 0 to 2.5 Volts DC, 0 to 5 Volts DC (w/CABLE-ADAP5), 0 to 10 Volts DC (w/CABLE-ADAP10) Measurement Ranges -20°C to 70°C (Temperature); 0 to 95% RH (Humidity); 1 to 3000 lumens/ft2 (Light) Operating Ranges Stores up to 43,000 Measured mples/Readings Sampling Rate of 1 Second to 18 Hours Adjustable by User. 1 Year Replaceable Battery Life Requires HOBOWare Software and USB Cable Kit for Operation Includes Mounting Kit w/Magnet, Hook & Loop Tape, Tie-Wraps and 2 Mounting Screws. We offer Data Acquisition System to our clients in affordable price range. In accordance to set industrial standards, our offered range is available in wide assortment so that our clients can choose the product as per their requirement and need. Our clients can customize the product according to their need and can avail it at best pricing as per industry standards and norms. These systems are reliable to keep the records and data.